-Natasha Cooper, author of Scripts for Winning Jobs and The Telephone for Business and Daily Life. – Nina Ito, California State University and co-author of The Great Big BINGO Book: Bingo Games for ESL Learners. 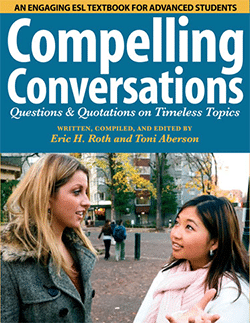 "Overall, just one of the best texts that I've used, and will continue using to facilitate speaking and listening practice, learning vocabulary in context and examining American English culture as seen through the use of quotes and idioms."